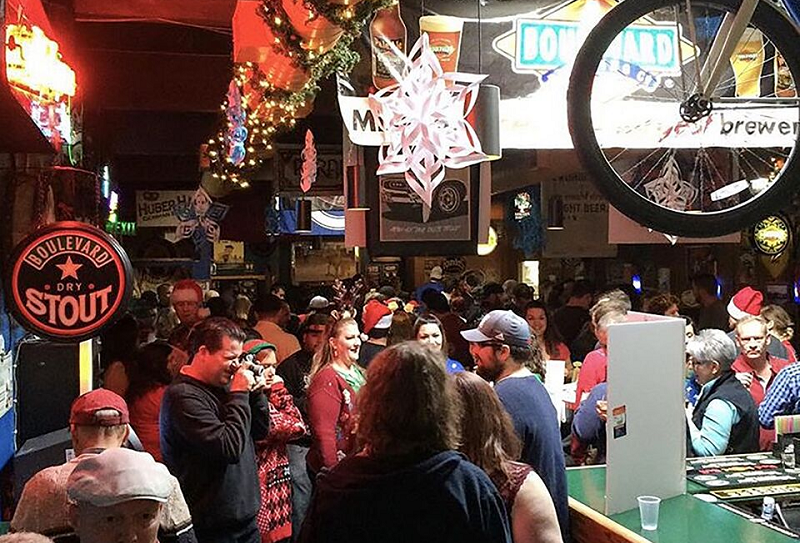 Now in its 11th year, the 2017 Holiday Beerfest will bring roughly 100 holiday and winter seasonal beers together for patrons’ enjoyment under the roof of the Crescent Moon Alehouse of “Beer Corner USA” in Omaha. Admission includes four hours of sampling and a souvenir tasting glass, not to mention a chance to win a prize in the festival’s third annual Ugly Sweater Contest. For the seventh year in a row, one of Washington, D.C.’s most beloved beer bars will host a “total tap takeover” of cold-weather beers from the U.S., Belgium, Denmark, England, France, Germany and more. The event also supports Martha’s Table, a D.C. nonprofit that provides food, educational support and family support to those in need. In exchange for food or monetary donations to the nonprofit, Churchkey will give patrons their first tasting pour for free. All the beers of the night (last year’s 35-beer tap list included Baird’s Jubilation, Mikkeller’s To From Via, Ridgeway’s Criminally Bad Elf, and Xbeeriment’s Copper Snow, among many others) will be priced both by tasting portions and by the glass. Denver is famous for its sprawling array of breweries, and this event brings a hefty chunk of them together for an evening under the glistening displays of the Wings Over the Rockies Air & Space Museum. Beyond the beer, attendees can also expect the presence of self-conscious references to “Seinfeld” (the Festivus pole and airings of grievances), music and a special food menu. General admission guarantees unlimited tastings and a commemorative glass, while the more expensive “Feats of Strength” pass also includes a food voucher and one hour early access to pouring breweries. Set in the 80,000-square-foot Architectural Artifacts building located in Chicago’s Ravenswood neighborhood, this party presents a beer-centric way to ring in the New Year. On top of the breweries pouring at the event (past participants include Half Acre Beer Co., Goose Island Beer Co., Pipeworks Brewing Co. and Solemn Oath Brewery), the party will also include butler-served hors d’oeuvres, a late-night pizza buffet, a wine bar and a lineup of signature cocktails. 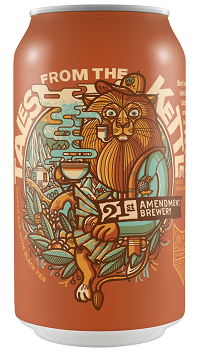 Each year 21st Amendment holds an intra-company “Tales From the Kettle” homebrew competition where one beer is selected among the lot for canning by the San Francisco Brewers Guild, this year’s winner being Not Your Cup of Tea. The beer, which uses peated and smoked malt in its grain bill to ensure the distinctive scotch ale flavor that underlays the black tea, will be available on draft and in six-packs of 12-ounce cans. To celebrate more than two decades in business, the Maryland-based brewery crafted a dense brew that commingles the phenolic white- pepper and peach-skin flavors of Belgian yeast with vanilla and spicy tones from time spent in Sagamore Spirit Rye Whiskey barrels. This limited release will be available in 22-ounce bottles and on draft. This silky smooth, rich umber-colored beer spent months in Buffalo Trace bourbon barrels before bottling, imparting notes of vanilla, dark cherry and oak that mingle with the espresso, chocolate and caramel tones from its malt bill. Top Sail Bourbon Aged Porter will be available in limited quantities of 16.9-ounce bottles. Heavily sought after since last being bottled in 2011, Founders’ CBS introduces the same base beer of its KBS to bourbon barrels that formerly housed maple syrup. 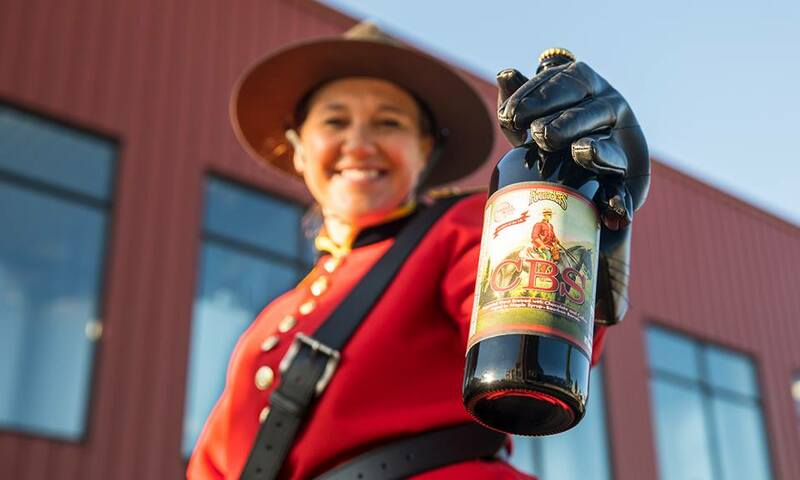 Rich, and even decadent, this beer comprises maple syrup, chocolate and roasted coffee into what Founders calls a “transcendental drinking experience.” CBS will be available in 750 mL bottles and on draft beginning Dec. 1. Around 18 months ago, Cascade Brewing stowed wheat and blond ales away in oak wine barrels. It now has blended those beers and added black and red raspberries, thyme and fresh ginger. Midnight Bramble will be available in 750 mL bottles.